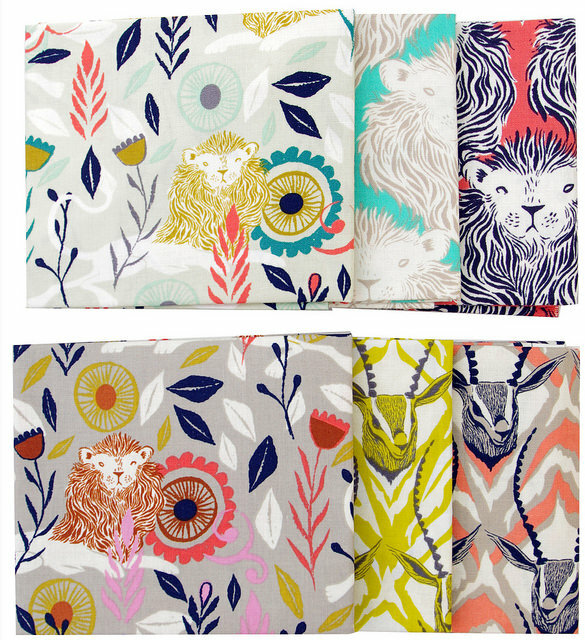 August by Sarah Watts ~ featuring lions and deer foraging in foliage. Sarah wanted her first collection with Cotton + Steel to be one that represented both power and strength. That's where the lion comes in. August is about making wishes, going after your dreams, and being resilient through the journey. It's also about all the fun along the way. I love the gentle color palette, soft and pretty but not too overly girly. Moonlit by Rashida Coleman-Hale was inspired by a warm Summer evening in Little Italy in Manhattan ... a candlelit dinner outside, with the twinkle of the city lights above, pennants waving over head, sparklers and luminescence. 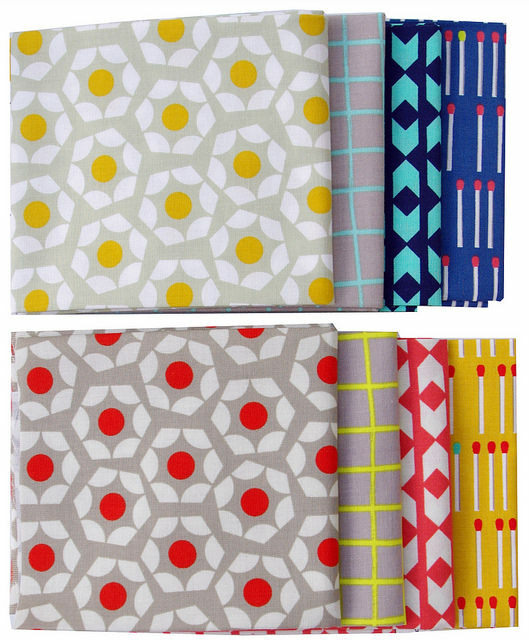 There are a number of simple geometric prints in this collection that are great stash basics and also coordinate well with other Cotton + Steel collections including the basics range. Gorgeous fabrics and great designs. 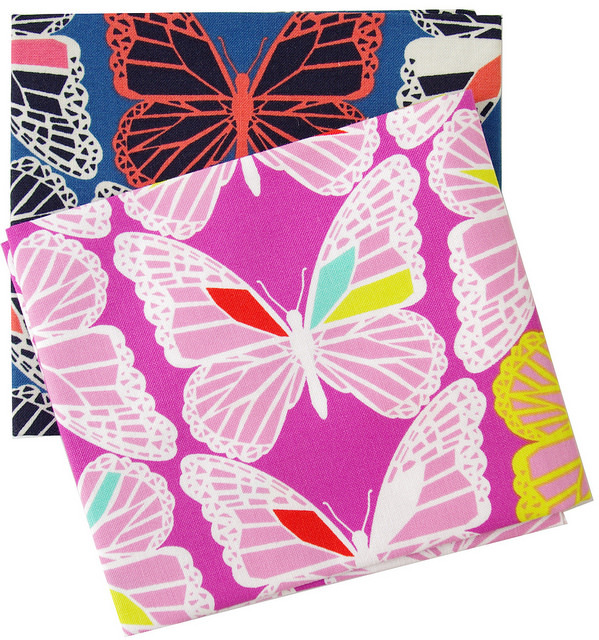 I especially love Rashida Coleman Hale's fabrics. I'm glad I bought both of these ranges. I'm in the process of making a quilt now with the Moonlit and just love it. 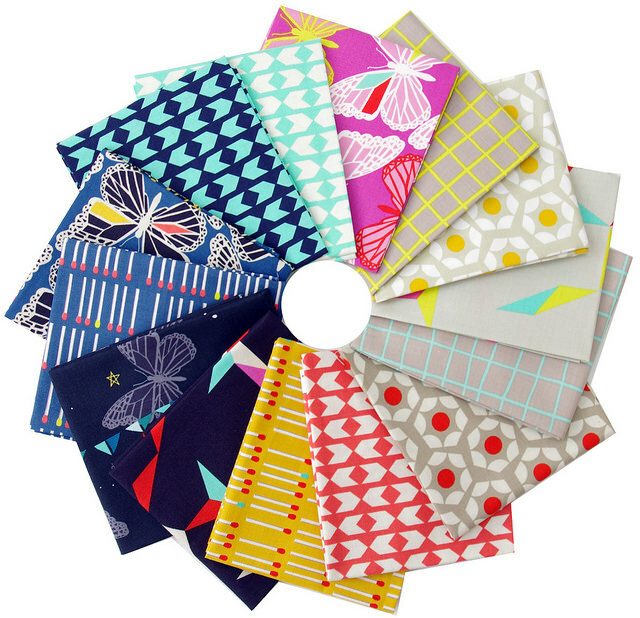 I love the fabric at Red Pepper Quilts and love your Etsy shop! I love the Cotton and Steel collection. I like the shapes with the solid colors (like the red). I would be ecstatic if I won!! Really love the August line, of all of them. Those background neutrals (? light taupe? Almond?) really do wonders with the sweet pinks. Nice combo. 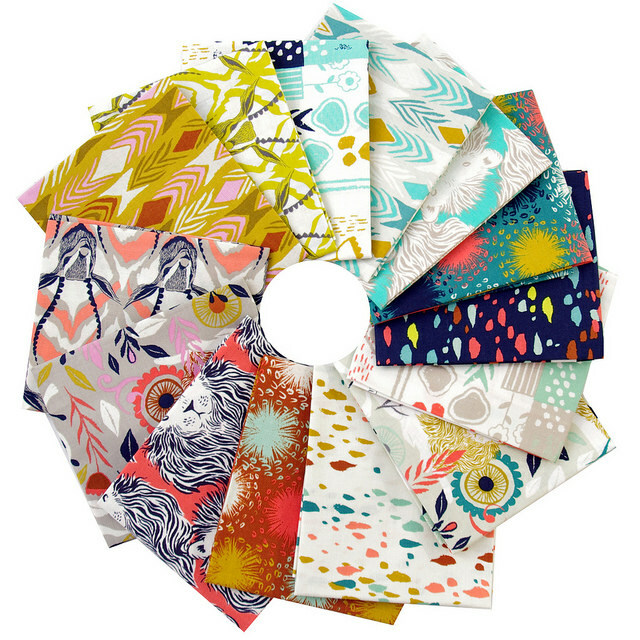 I was really lucky to win a bundle of the August fabric. It is so beautiful. My favourite are the lions! Bright and cheery. A perfect Sunday color way. I love the lion fabric - power & strength - would be amazing in a quilt. I just got my Cotton & Steel bundle in the mail and I literally shouted with joy!! This fabric is more beautiful in person than in pictures--absolutely stunning. I love every one of them! They just make me happy!!! !